If you own a motorcycle you may never have considered taking out a loan by using it as collateral. Many think of vehicle-based loans as being just for cars and trucks, but the truth is that motorcycles fall easily into the same category and cash loans can be taken out for them as well. Use your assets to your benefit! Motorcycle loans are a simple fast way to finance your life. 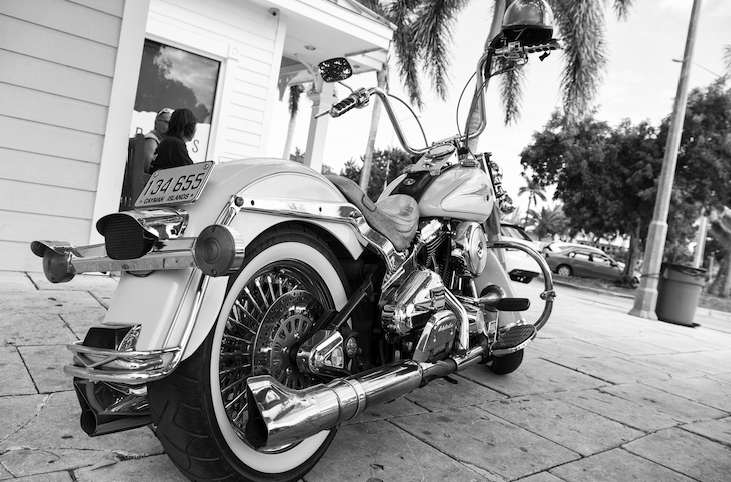 At First Pawn we offer pawn loans on all types of Motorcycles with a valid paid and clear Florida title. You are able to get same day cash with our Motorcycle loan program and they require no credit check. These are an asset-backed cash loan. The value of the loan is determined by the value of your motorcycle. The appraisal used is based on third party valuations. This loan format is very user-friendly and offer lower interest rate terms than other loans. First Pawn is able to provide the most safe, secure, insured storage for your motorcycle when in our possession with the best rates in Southwest Florida. Whether your bike is a Harley, Honda, BMW, Indian, Yamaha, Triumph, Ducati, KTM, Kawasaki, Kymo or another manufacturer – it has value and it can be used to your advantage. The ability to quickly and easily liquidate assets so that they can be used is a major advantage. It means when you need money you do not have to go and try and bargain with your bank which takes time and dings your credit score, just for checking it – approved or not. Bring your bike into First Pawn at either our Naples or Lehigh Acres location. We will come out, greet you, and do a visual inspection. What we look for are things like cosmetic issues (dents, scratches, dings), running condition (odd noises, smoke), and of course, make, model, and mileage. We rely on Kelly Blue Book values. We will hold the title and the bike in safe secure storage until the loan is repaid. At that time, we make you an offer and if you accept you can leave with cash in your pocket. We do advise you not to take out a larger loan than you need, though it can be tempting if we offer you over the value you had hoped for. We are not looking to take ownership of your bike. We want you to be a repeat customer time and time again. We make payments as easy as possible and are happy to work with you. The most important factor is communication. If for some unexpected reason you cant make a payment on time please talk to us before it is due. At First Pawn we try and make the whole process as hassle-free and stress-free as possible. If you are considering a cash loan come in today and talk with us. Let us see how we can help you.